The great Bob Dylan once sang, "The times they are a changin'." And that has perhaps never been more true, specifically as it pertains to the entertainment industry, than it is right at this very moment. After more than a year of speed bumps, hurdles, talk and speculation about the future, the future is now. The Disney / Fox deal, which was initially announced in December 2017, is officially done. The biggest and most important merger in the history of media is now complete and, to put it bluntly, things are never going to be the same. Also, we might get a good Fantastic Four movie now. We recently reported that the Disney / Fox merger was expected to close this week as the final regulatory hurdles in Mexico and Brazil had been cleared. 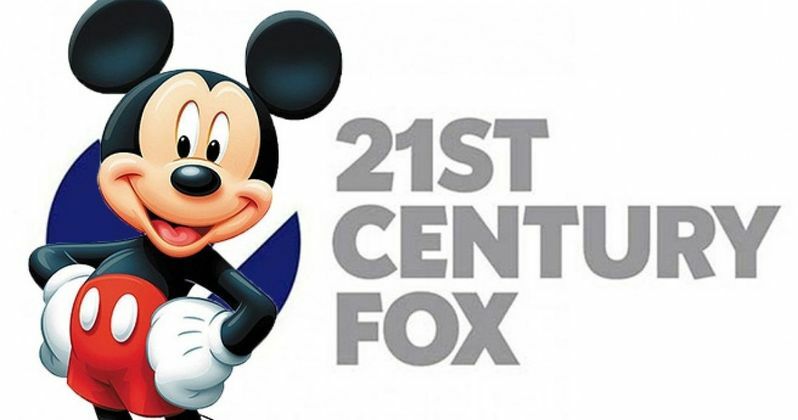 That has indeed come to pass as 21st Century Fox announced that they have finished properly distributing their stock, as the remaining bits of Fox not purchased by Disney, such as Fox News and Fox Sports, will be formed into a new company, while everything else will be folded into the Mouse House. For most consumers, the gritty details of the stock shift aren't crucial. What does matter is that the announcement confirms that the deal is done and will be effective in a matter of hours. Per 21st Century Fox, in a press release. "The Walt Disney Company's ('Disney') acquisition of 21CF will become effective at 12:02 a.m. Eastern Time tomorrow, March 20, 2019." This deal has been in the works for a very long time. Dust started kicking up in 2017 when it was rumored that Fox was looking to sell the majority of their assets to an interested buyer. Several bidders entered the ring and, ultimately, Disney emerged victorious after offering $66 billion for all of 20th Century Fox, FX Networks, National Geographic and a host of regional sports networks (which Disney needs to sell since they already own ESPN, as per regulators in order for them to agree to the deal). That happened in December 2017 and all seemed well until Comcast decided in May of 2018 to try and outbid Disney with an unsolicited offer to Fox. A new bidding war kicked off and Disney, again, won out, but the price went up to $71.3 billion. Ever since, it's been all about the nuts and bolts of actually getting this deal finished, which took some time as there are a great many moving parts involved. For consumers, this means Disney is now in control of a ton of IP and will have more reach than ever before. They're going to have a controlling stake in Hulu and can mine Fox's library to produce content for their Disney+ streaming service, which will help them compete with Netflix. It also means they've obtained a host of franchises, including Avatar, Aliens, Planet of the Apes, Kingsman and, most importantly, the X-Men and Fantastic Four rights. This means Marvel Studios, also owned by Disney, will ultimately be able to fold those characters into the Marvel Cinematic Universe alongside the rest of the Avengers. But this deal comes with a dark side. Thousands of people, estimates peg it at 4,000 or more, will be laid off due to redundancies within the new corporate structure. It also means Disney will have more control than ever and will have a dominance over Hollywood the likes of which we've never seen. It's Disney's world, we're just living in it. This news comes to us directly from 21st Century Fox.